Save the environment and thousands of dollars. Yep its true! Disposable nappies and wipes are having a HUGE impact on landfill and our environment and can take up to 500 years to break down. 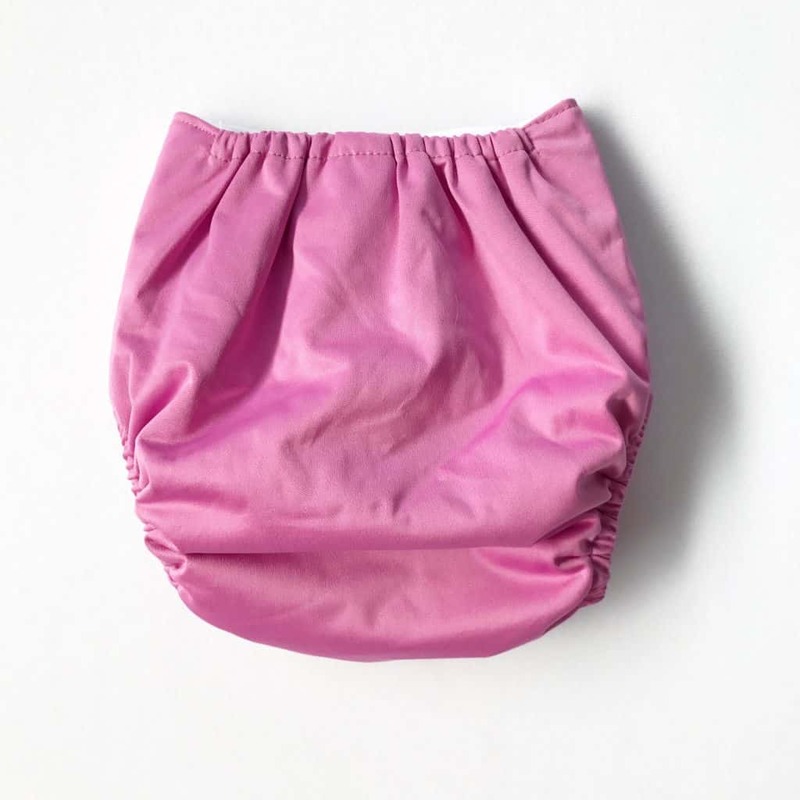 If that hasn’t convinced you to use reusable nappies then maybe the cost will. You will change about 6500 nappies from birth to toilet training. Long term that’s a lot of money per nappy! And that’s just for one baby! Our range is even more affordable than most on the market, so you really are getting value for money. 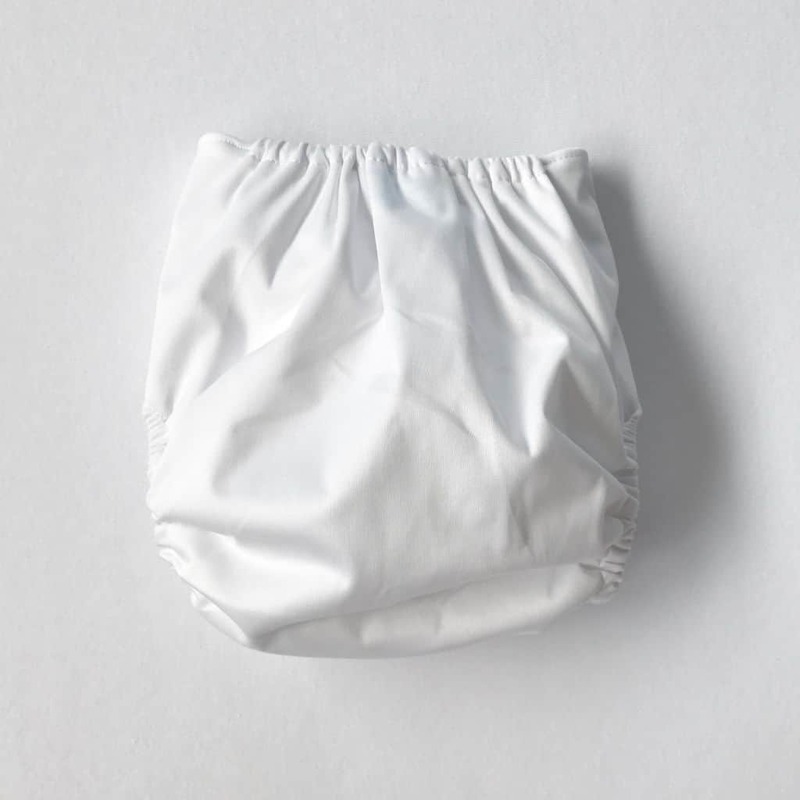 The nappies are designed so one size fits most. 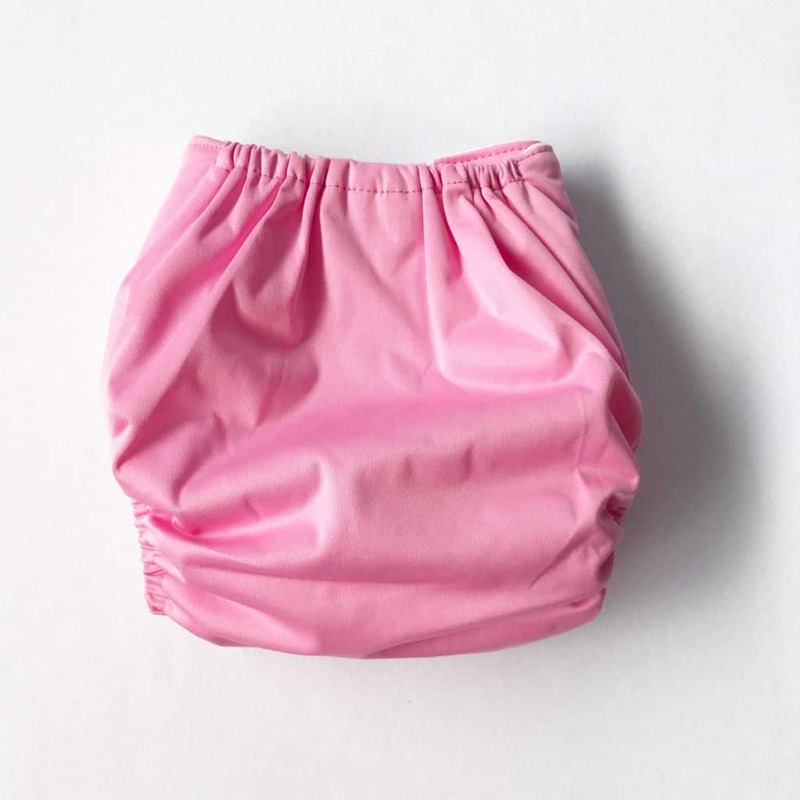 The adjustable sizing means you only need to buy one size nappy that can be adjusted from birth to age 3 (or approximately 3kg-15kg). 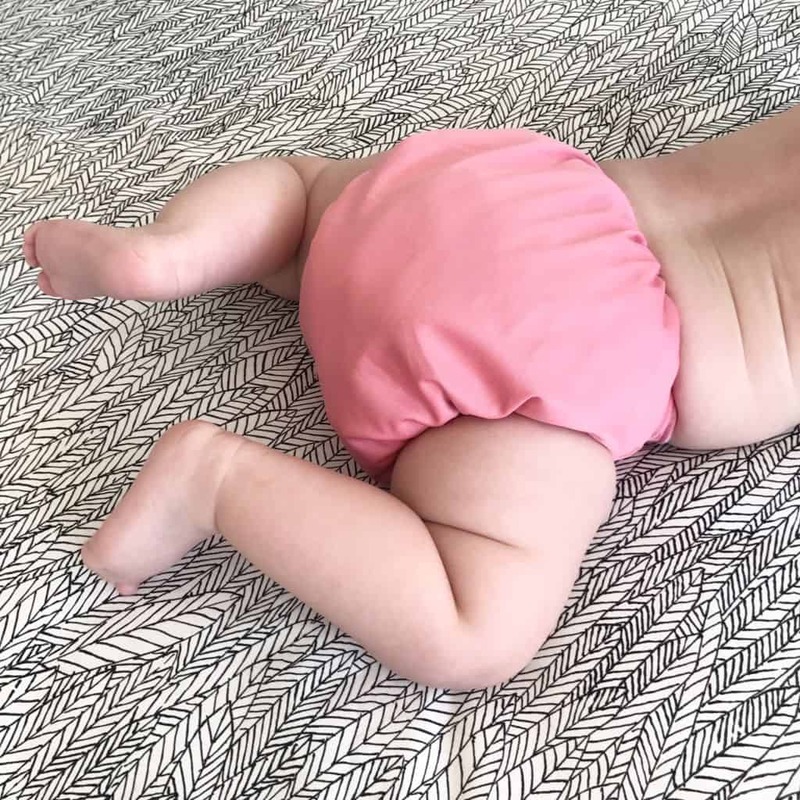 Check out the description of our nappies, the inserts and all the nappy related accessories below. 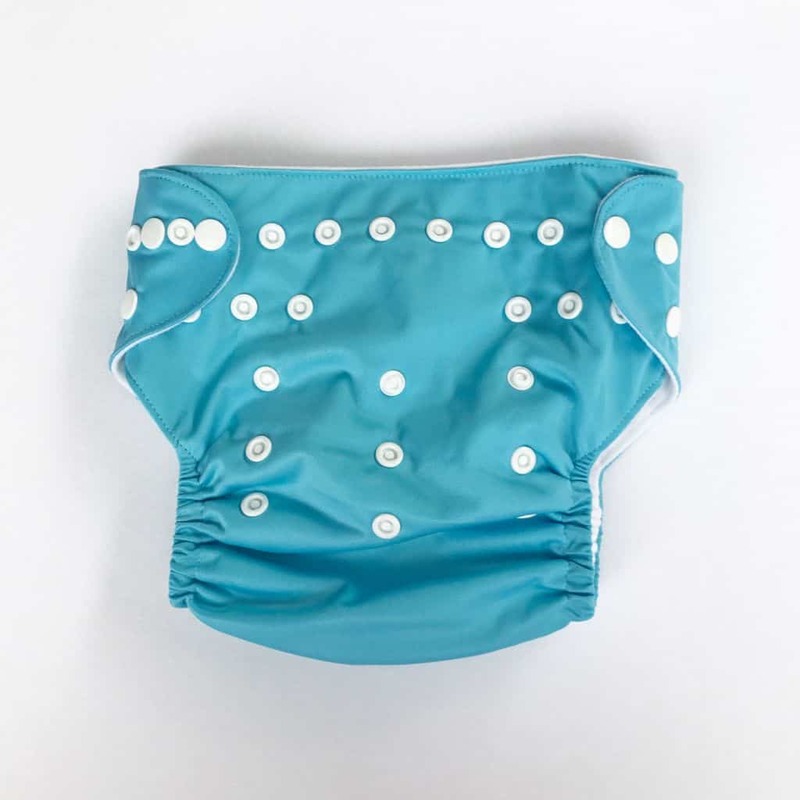 Click on the links at the bottom of the page for information on how to resize the nappy, put them on for a good fit, ‘dry pailing’ and the best way to wash them plus a general guide on how many nappy shells and inserts you will need. 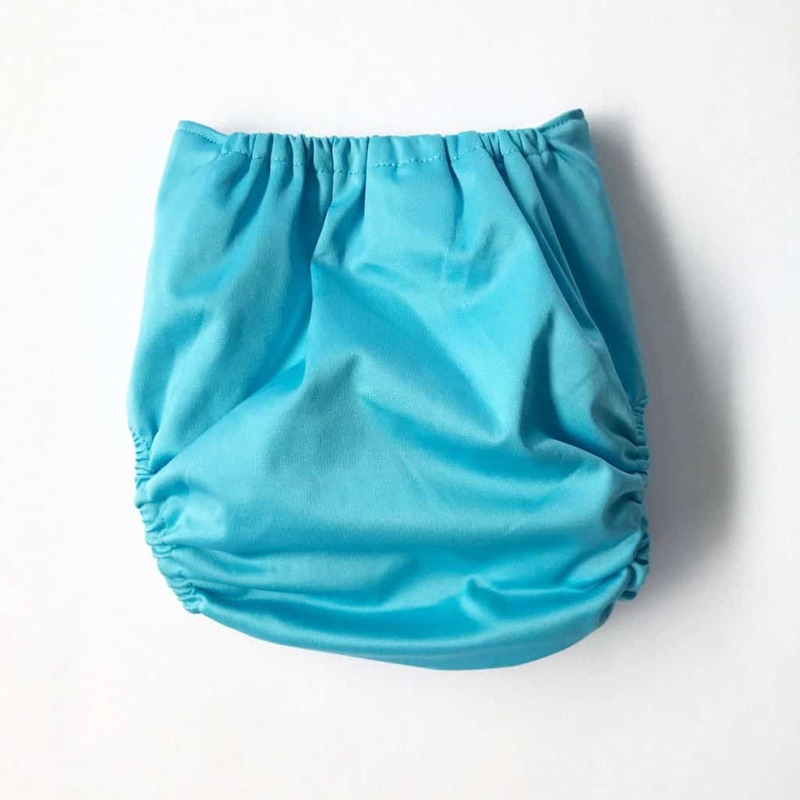 Our Nappies are a pocket style nappy and are made from a super soft waterproof outer material called PUL and they come in a variety of solid classic colours. 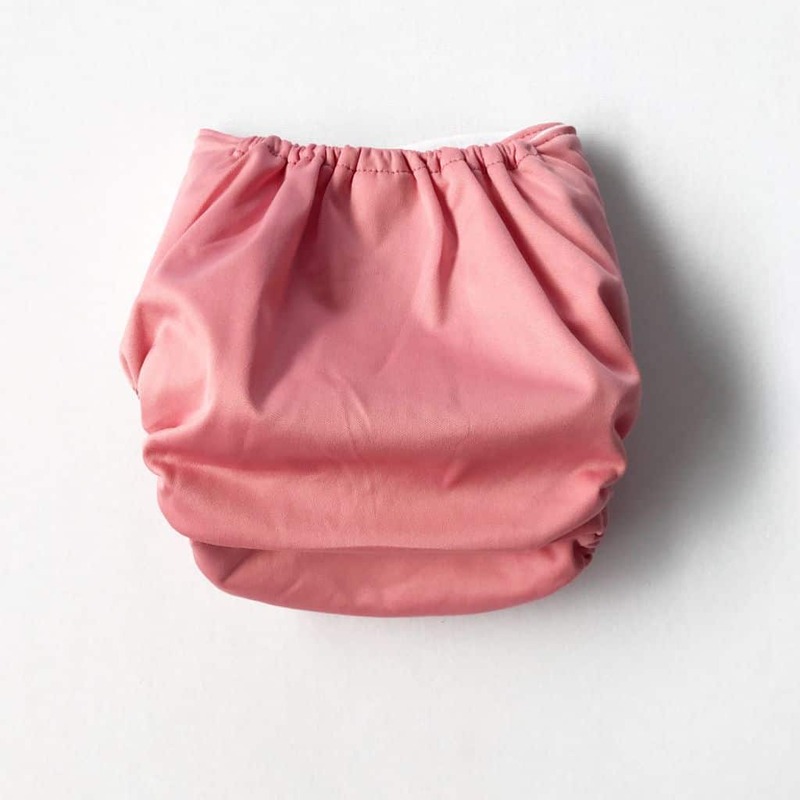 The inside is covered is a soft microfiber suede material that helps to draw moisture away from your baby’s bottom and allow quick absorption into the insert. 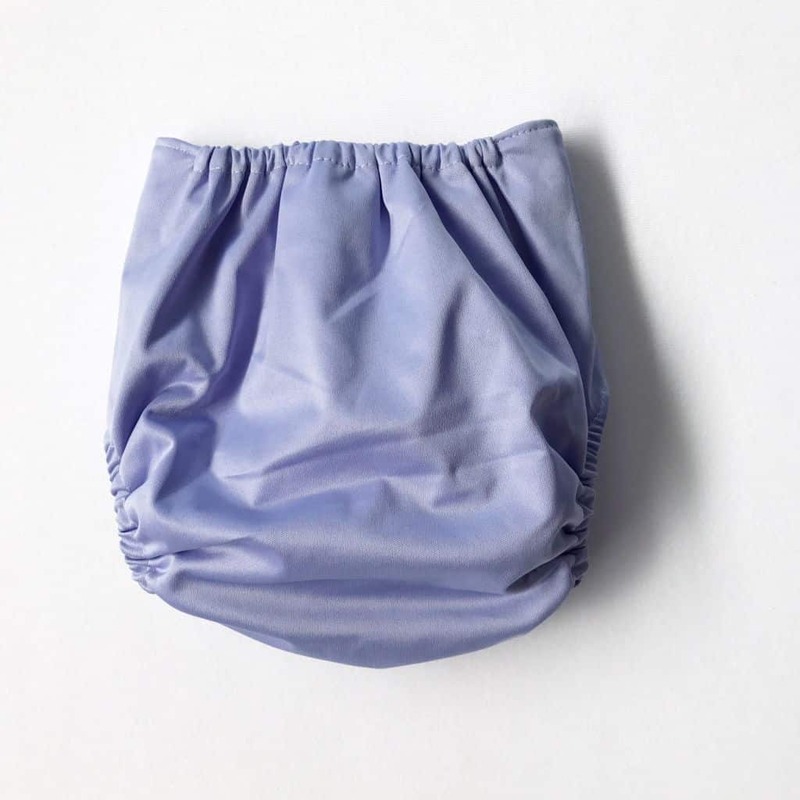 This pocket style nappy allows you to put absorbent inserts into the pocket between the two layers of the nappy. 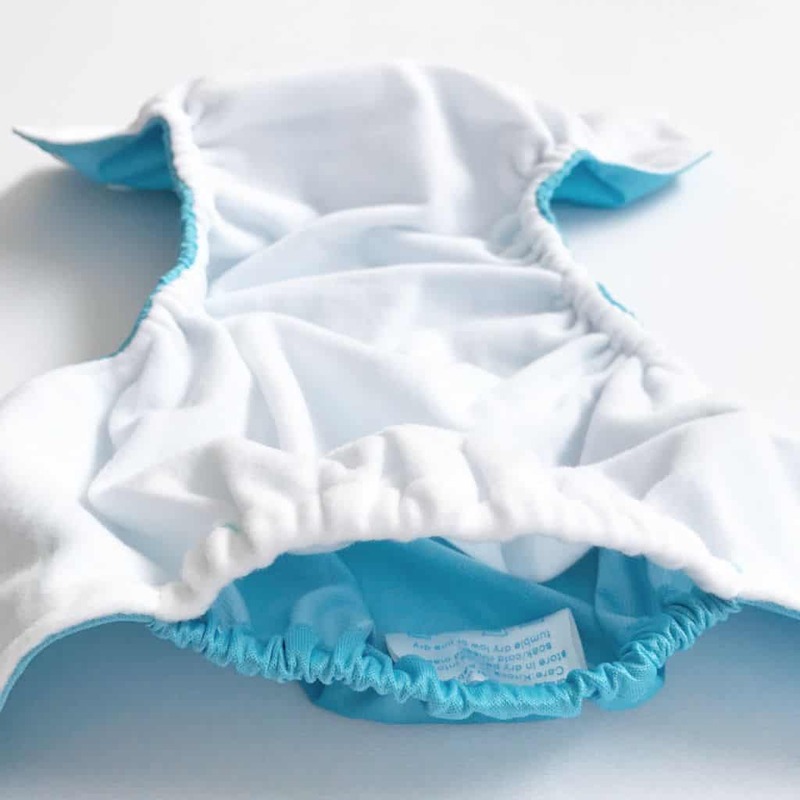 Alternatively you can lay the insert directly on top of the inner nappy. 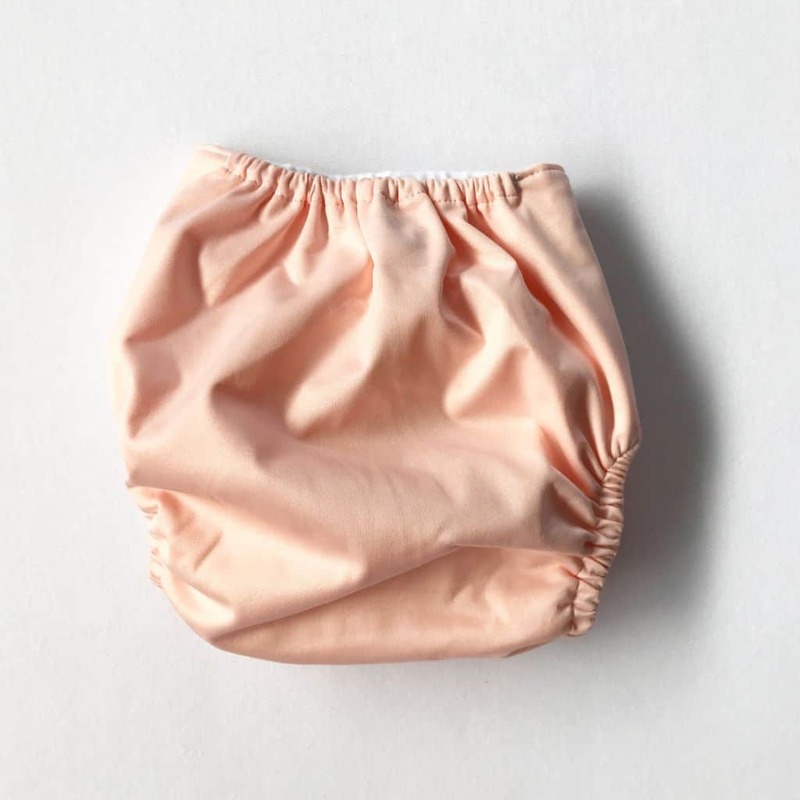 This will make nappy changes easy as you just remove the insert on top and replace it with another and continue to use the same nappy shell. 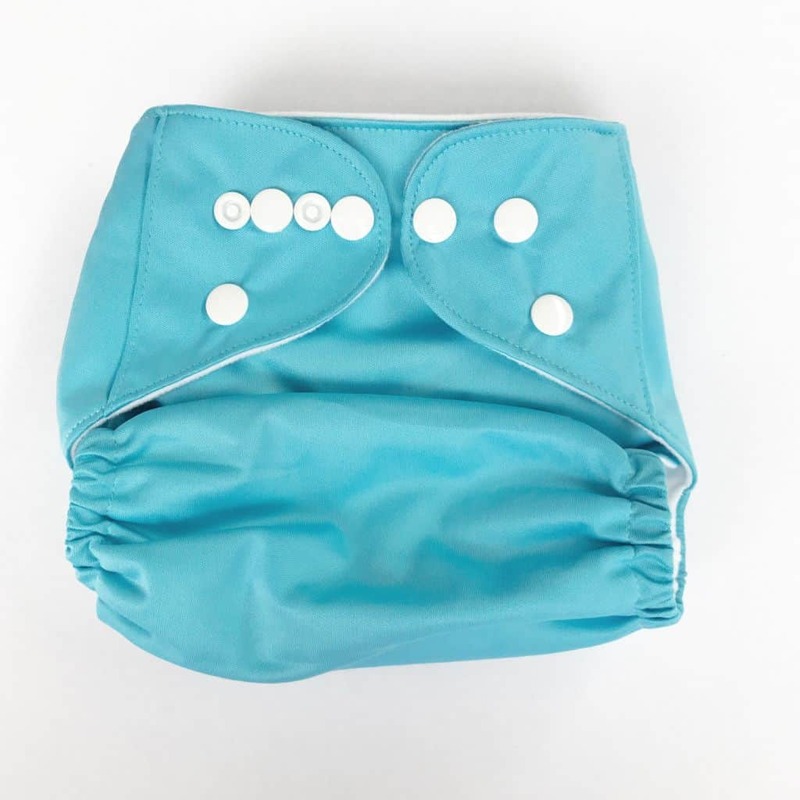 You can add multiple inserts to the pocket, allowing for extra absorbancy as needed. 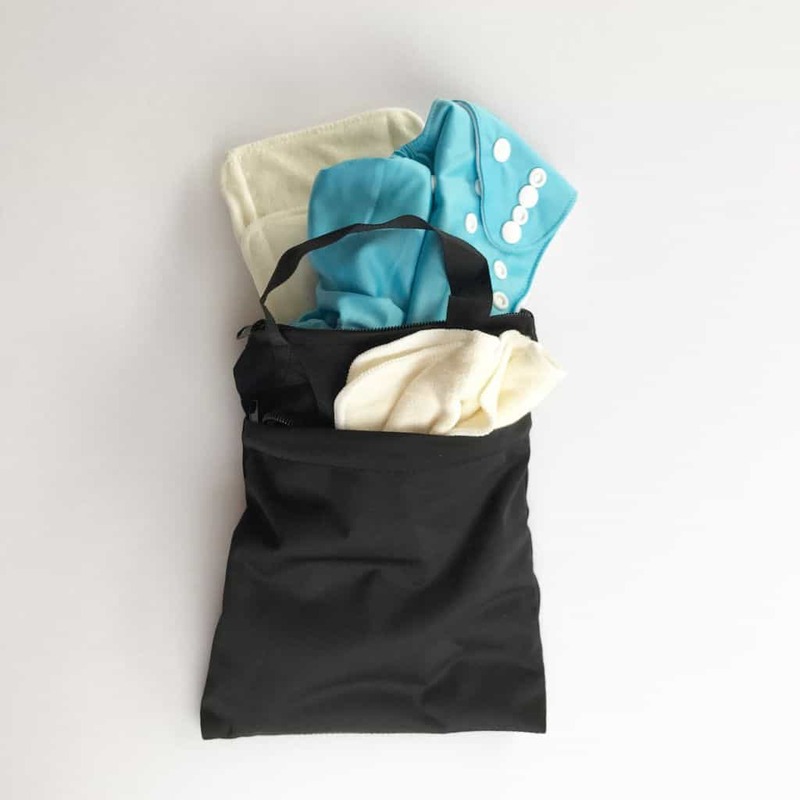 This pocket design also makes washing and drying easier, as they dry much faster with all the inserts removed. 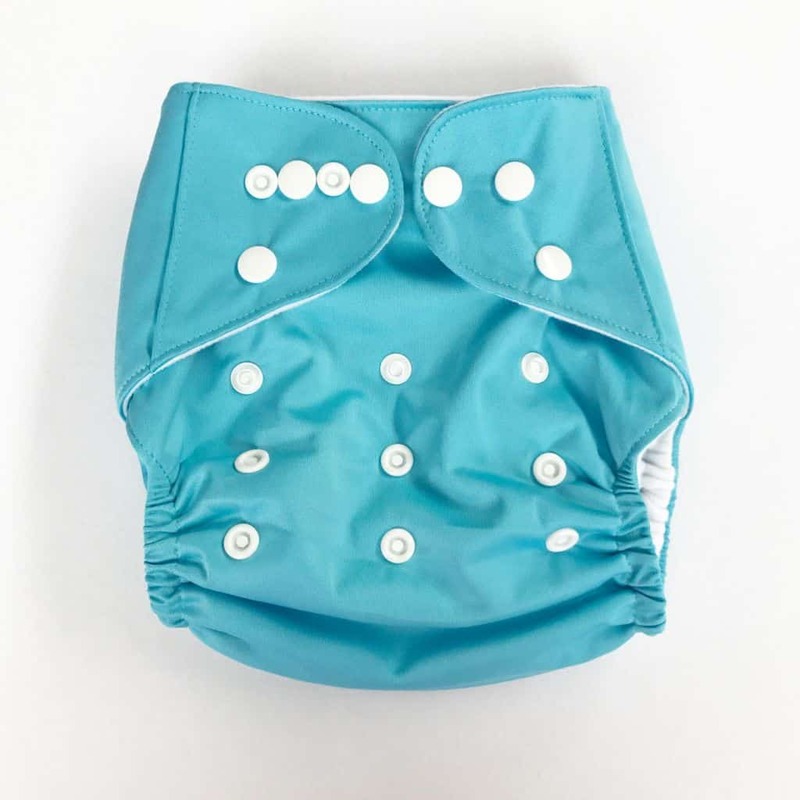 Each nappy shell comes with two double gusseted bamboo and microfiber inserts that contains 5 layers of material, bamboo material on the outsides and three layers of microfiber in the middle, allowing it to hold a large capacity of wee. Additional inserts are available to purchase and we also offer hemp inserts. 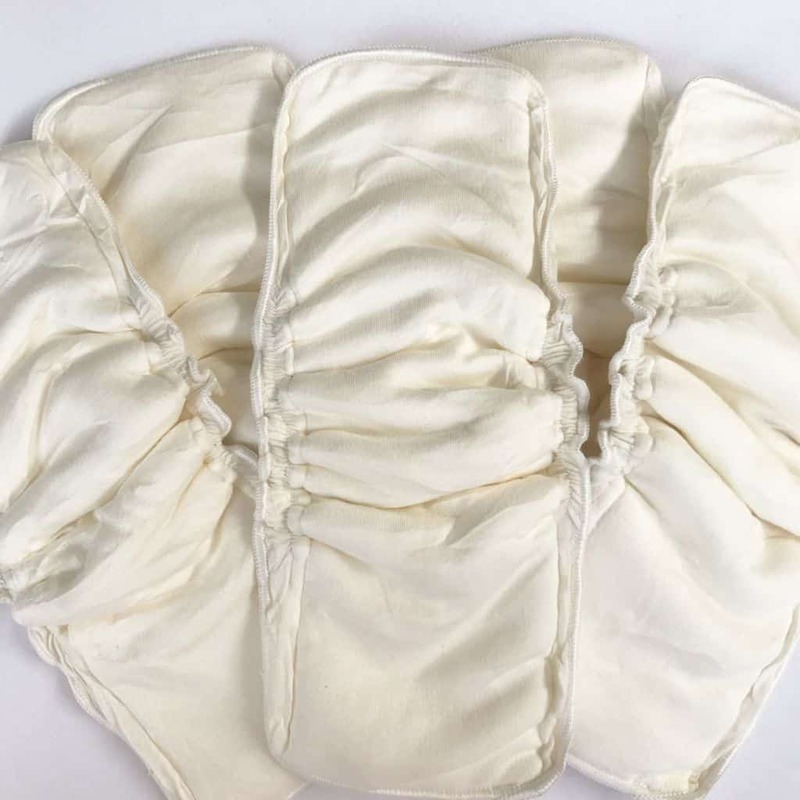 Each nappy shell has a bucket load of snaps on the front and hip area to make them adjustable as your baby grows. Click On the photos to view the nappy details. 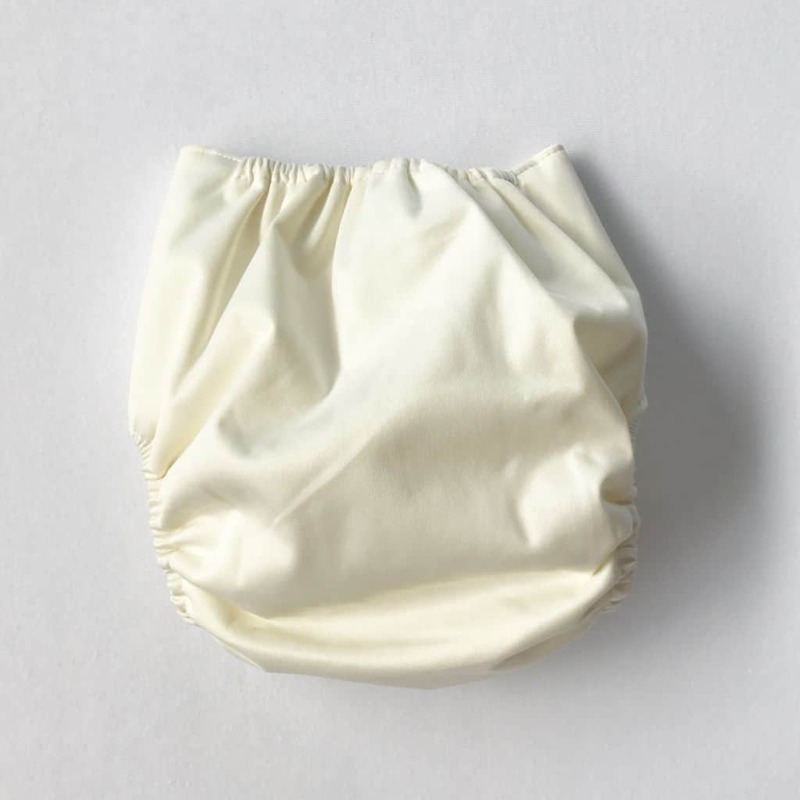 All Nappy shells have white snaps on the front and NO brand tag on the outer shell but it does have a general wash/care tag inside the pocket. Please follow these instructions to ensure your nappies stay in great condition. We do not make our own nappies. They are hand made with love in China. There are a large number of stores out there that purchase these and re-brand them as their own and add a hefty price tag. We have not put our labels on them and we don’t pretend to be experts. As parents, we have used these on our children and have found them to be the better ones without a large price tag. 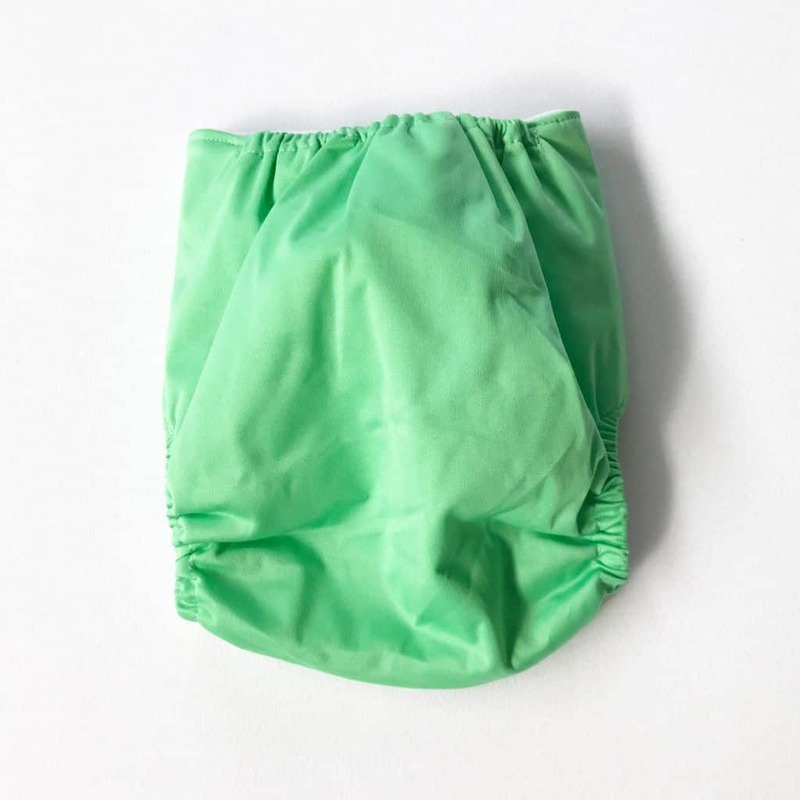 We buy in bulk to pass on the savings with the aim to help other parents save money on cloth nappies, to help reduce the amount of rubbish in landfill. If we have sold out of any products, you will still be able to place your order but it will be on back order while we wait for stock to arrive. If you need something in a hurry, contact us first to discuss your needs. 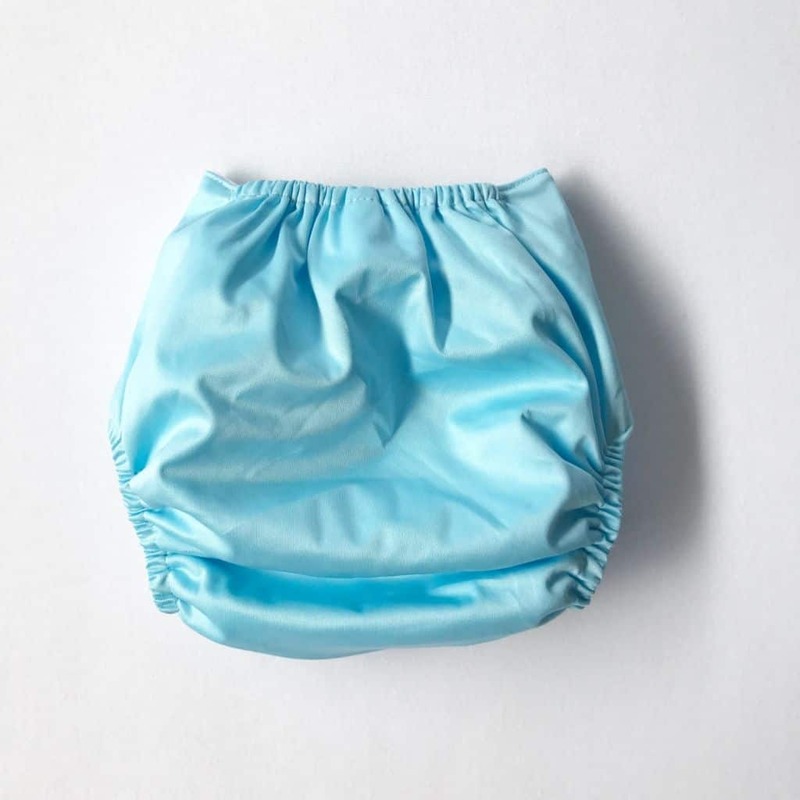 You may need to purchase specialty night nappies if your baby or toddler is a heavy wetter, is a tummy sleeper or sleeps long stretches overnight without a nappy change. 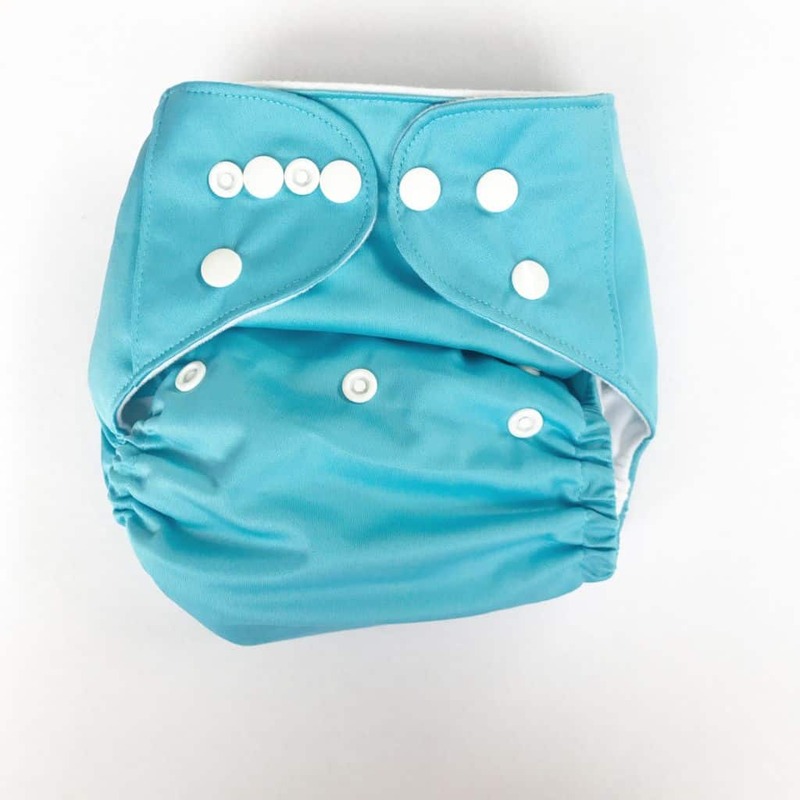 We don’t stock specialty night nappies as there are so many wonderful products out there that work really well and we suggest you research the best one to suit your needs. 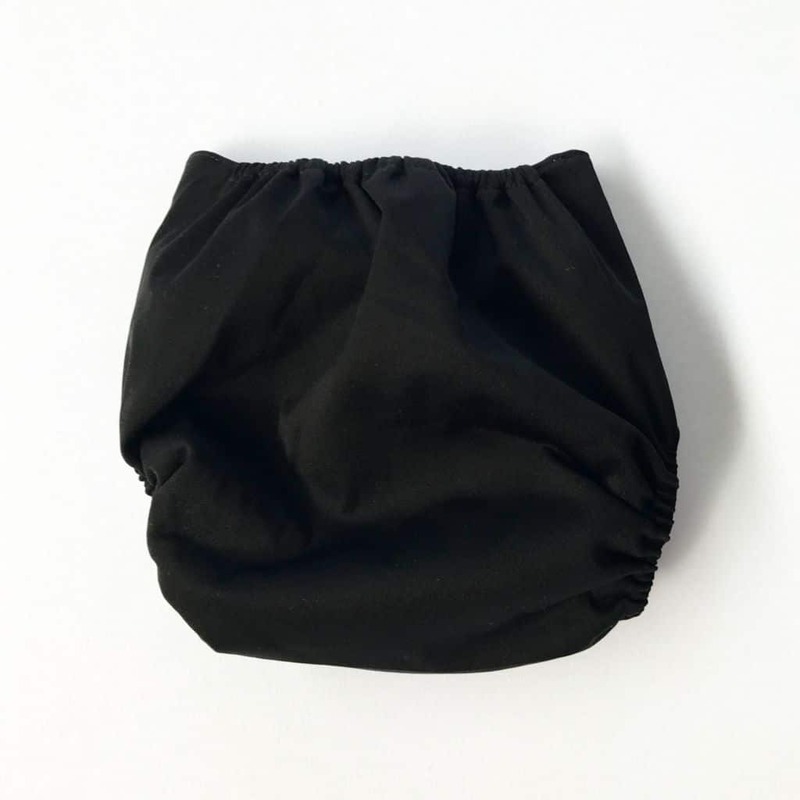 We have two types to choose from, a Bamboo cloth and microfiber gusseted insert and a Hemp insert. We have trialed these and have found them to be great products. 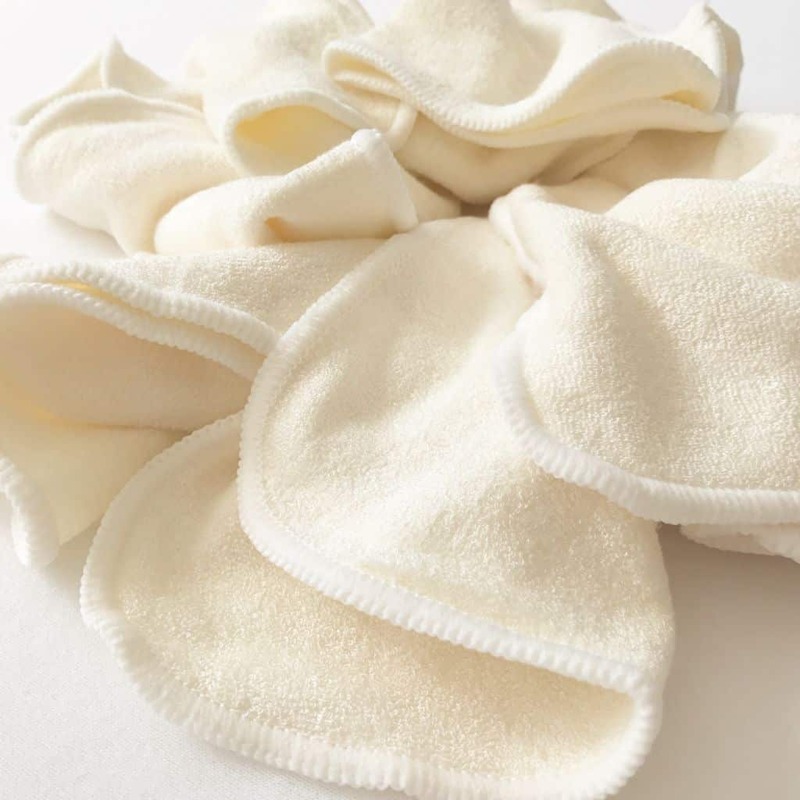 They are super absorbent and more Eco friendly in their manufacturing than others on offer. 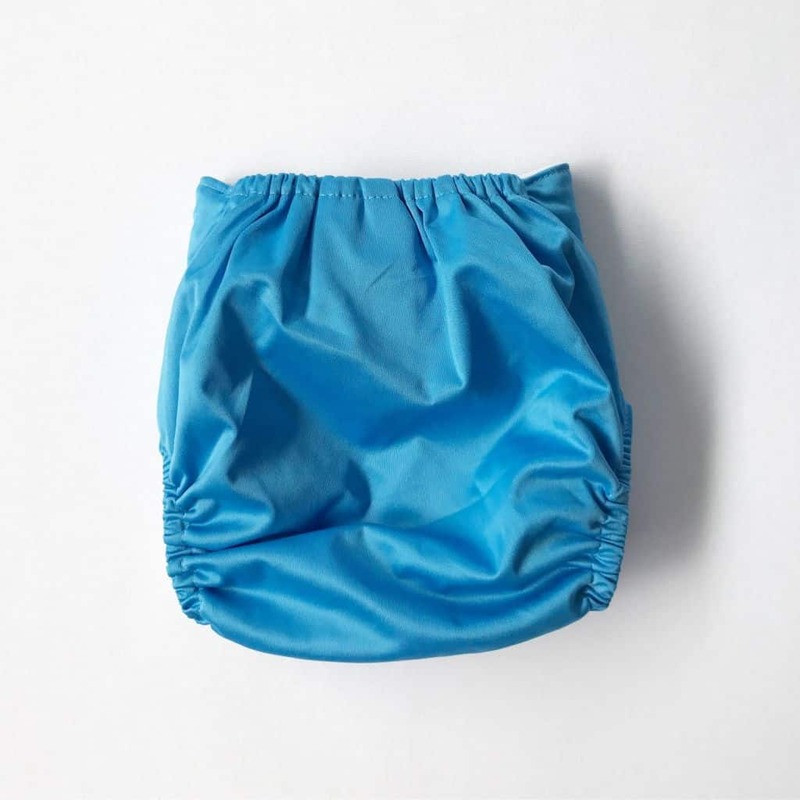 An Absorbent insert with a layer of thin bamboo cotton cloth material on both sides and 3 layers of microfiber in the middle. What’s ‘gusseted’ i hear you ask? It means the edges of the insert are puckered and sewn to give the insert shape and also help contain wee . 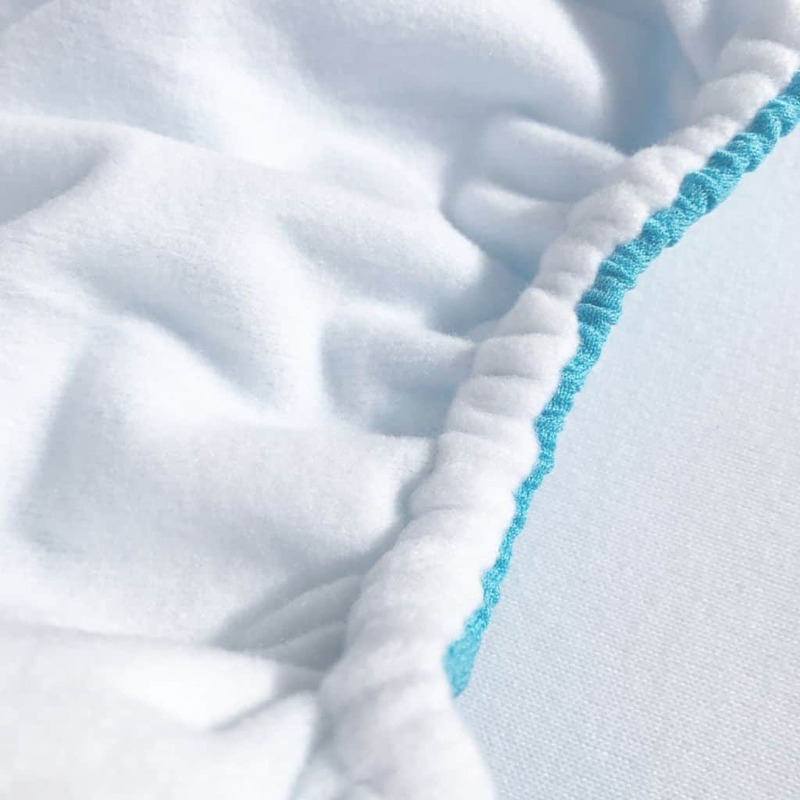 The soft bamboo cloth covering the microfiber helps to wick moisture into the microfiber layers and also allows you to lay the insert on top of the nappy (instead of putting it in the pocket) as normally microfiber in direct contact with the skin is too drying and can cause irritation. It also helps contain poo if you’ve laid the insert on top instead of putting it in the pocket. The absorbancy will increase with washing and it may need 5-6 washes before it reaches its full ability. Never use fabric softener to wash these. Even more absorbent than the bamboo and microfiber insert! 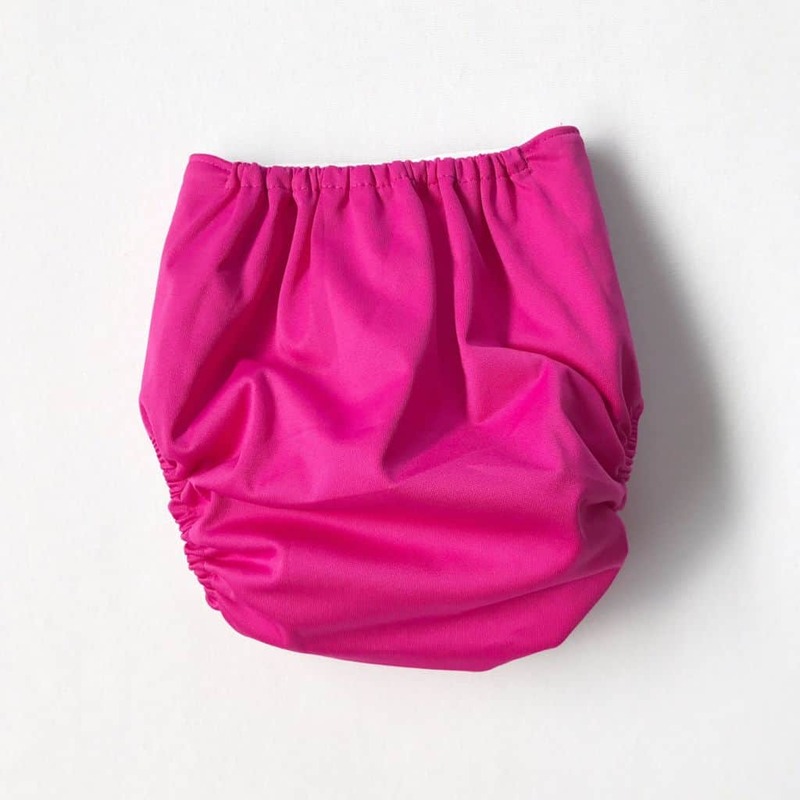 This is great to add as an extra insert to boost the absorbency. It’s also a less processed fiber so it makes it more of a natural option that’s even better for the environment. 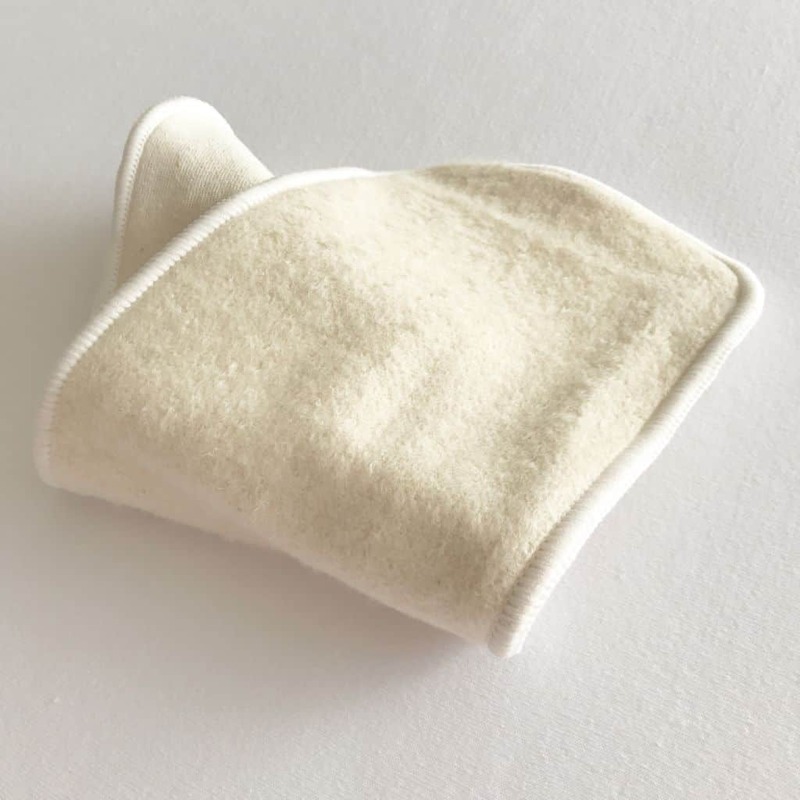 These are best used as an insert inside the pocket of the nappy as the material is a bit dry on babies skin if its laid on top and in direct contact with the skin all the time. The absorbancy will increase with washing and it may need 5-6 washes before it reaches its full ability. Never use fabric softener to wash these. 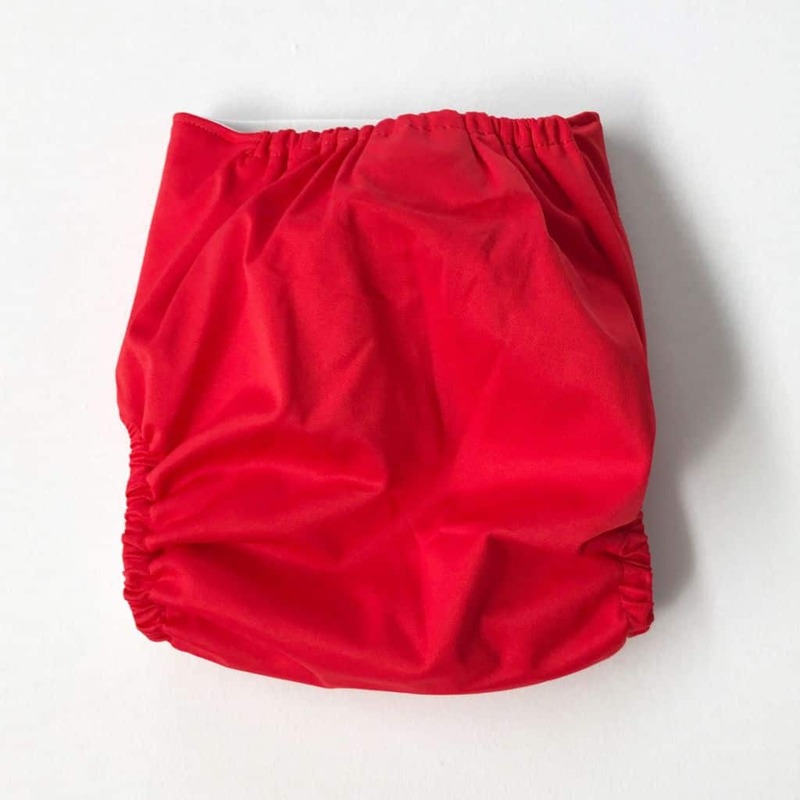 A wet bag is the name given to a waterproof bag made from the same PUL material. 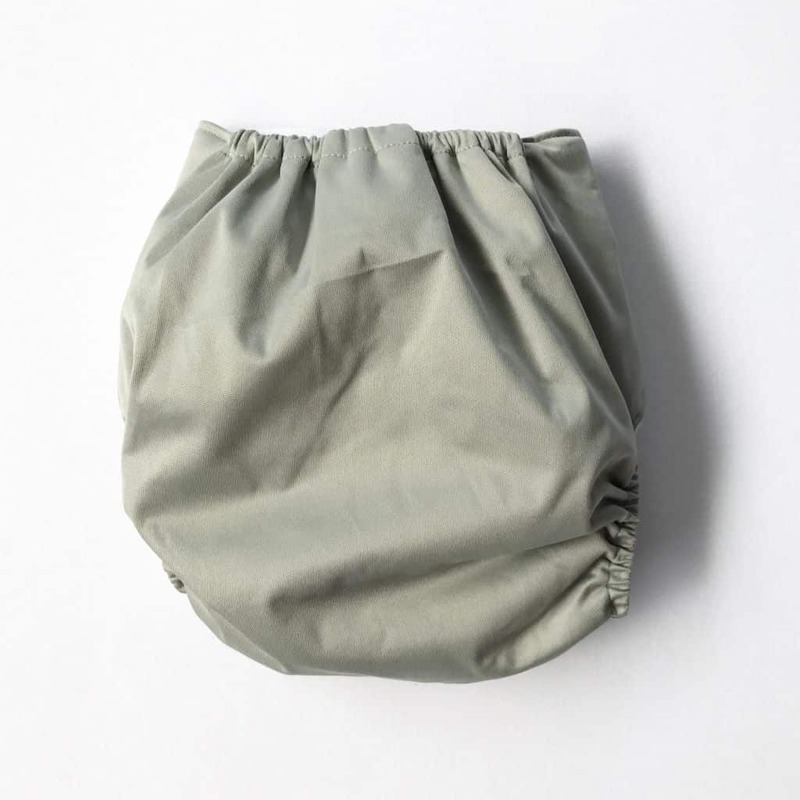 They’re great for storing soiled and dry nappies when out and about and very handy to line nappy bins with. 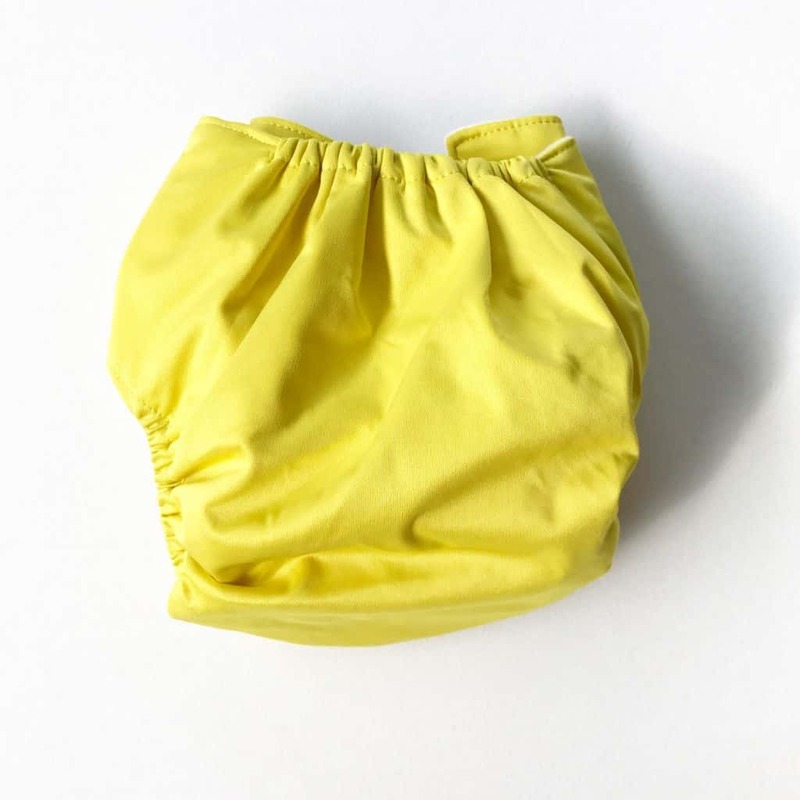 Measuring 20cm x 25cm, this is the perfect size to put in your nappy bag, or under the pram. It can hold 3 nappies and 3 inserts. 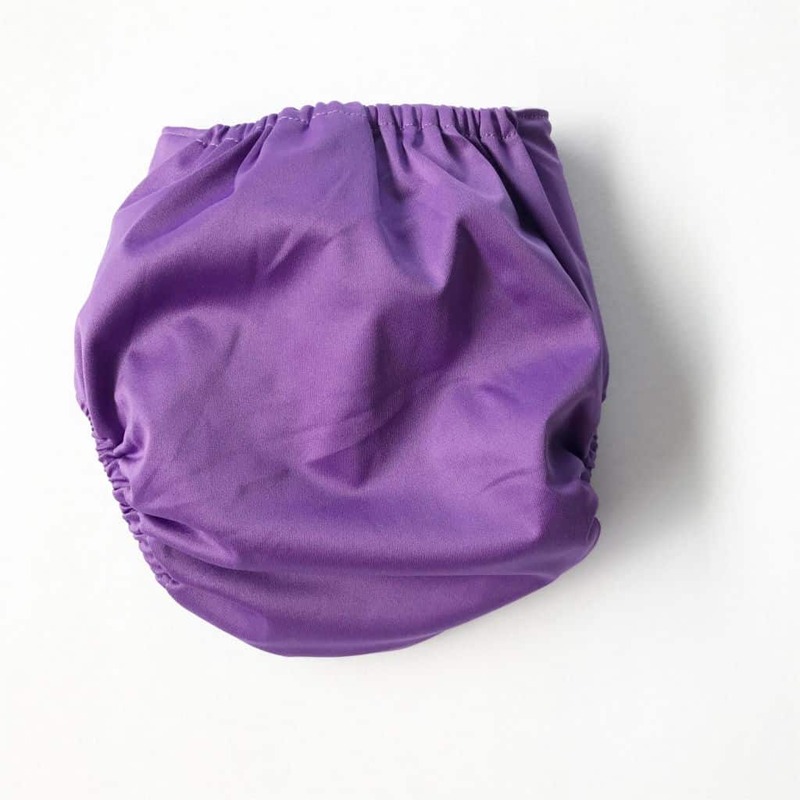 There are two pockets so you can store the clean nappies in the front and soiled nappies in the larger pocket. The bag is machine washable. It is available in black only. Colours will not run when washed. 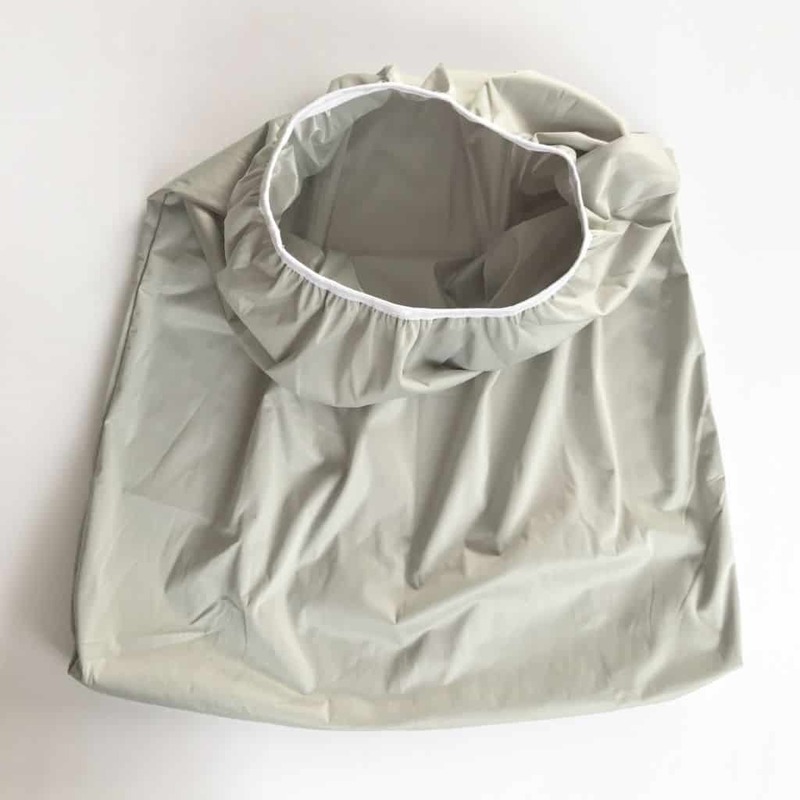 Measuring 65cm x 70cm, this is a great alternative to plastic bags for a nappy bin. Throw in all of those soiled nappies then empty the bag and throw it all in the wash on wash day. 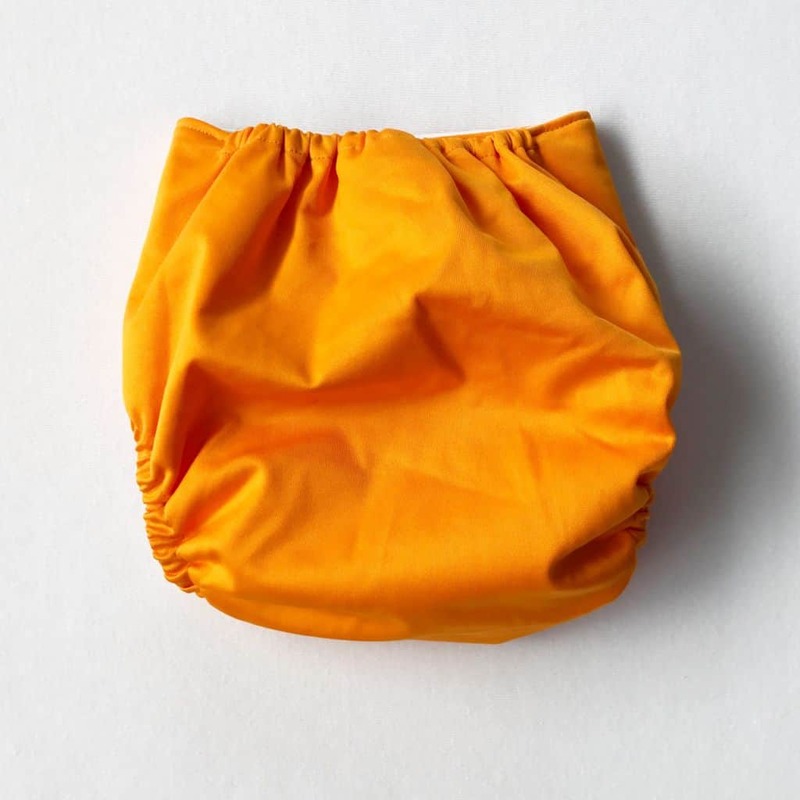 These also make a great alternative to plastic rubbish bin liners! 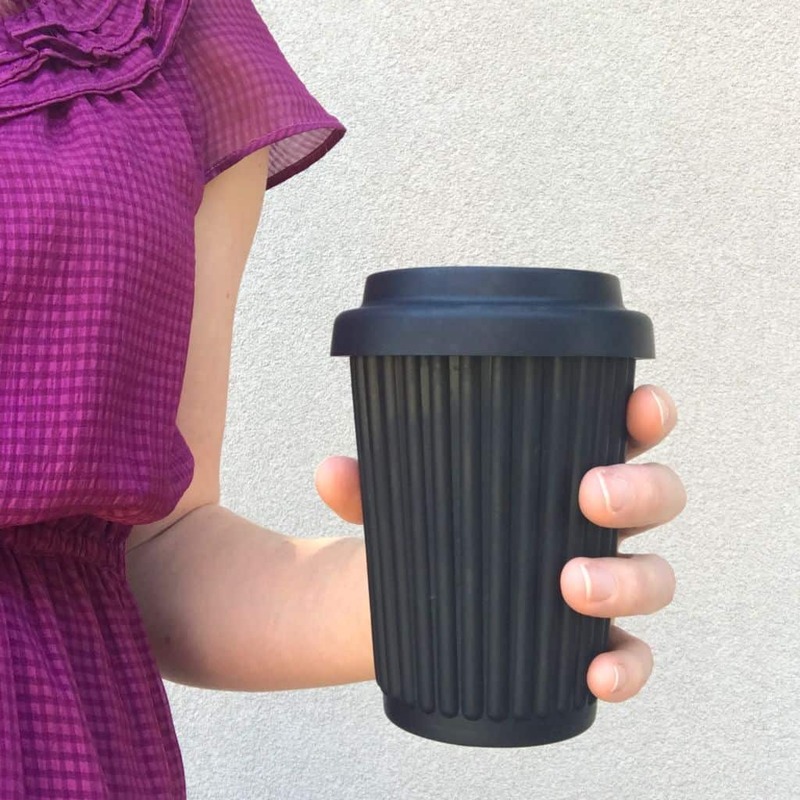 Empty your rubbish from it straight into your big bin and say goodbye to plastic forever. The garbage truck doesn’t need your rubbish neatly packaged in plastic bags. Give it a quick rinse then put it in the wash on wash day! Grey colour only. ‘Bio degradable flush-able Liners’ should never be flushed!!! These are biodegradable but the reality is they take a very long time to break down and actually clog up drain pipes. The plumber bill is not worth the convenience of any flush-able liner or wipe, no matter how flush-able they claim to be! For this reason we do not stock these. 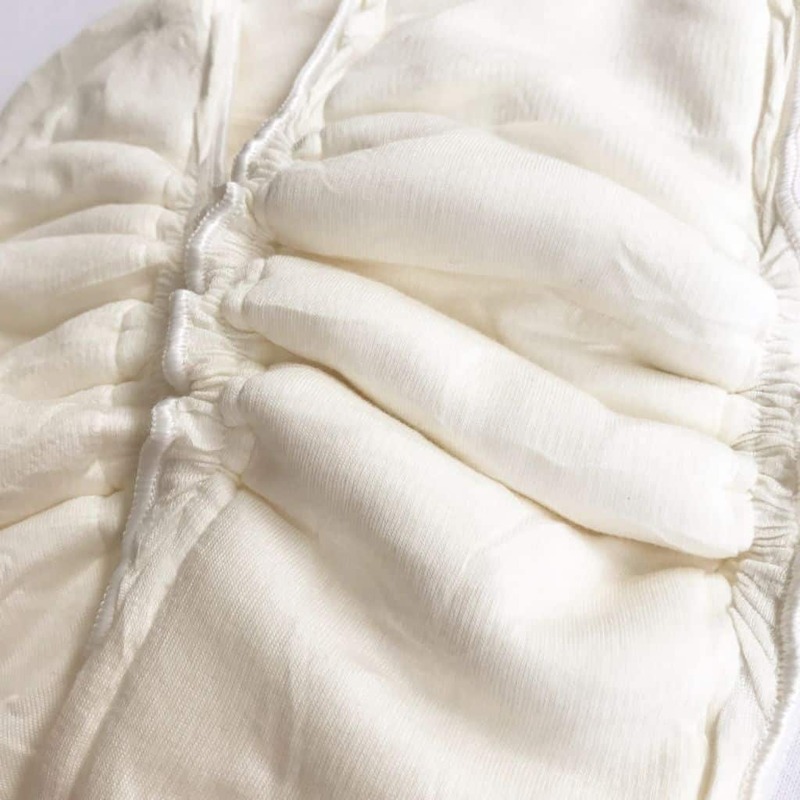 For general info on nappy types, liner material, dry pailing and the number of nappies needed, click the link below. They also have great advice on washing instructions and was cycles and can give you one on one advice that’s specific to your machine type! They’re a brilliant resource and have a great community support via their facebook page also.